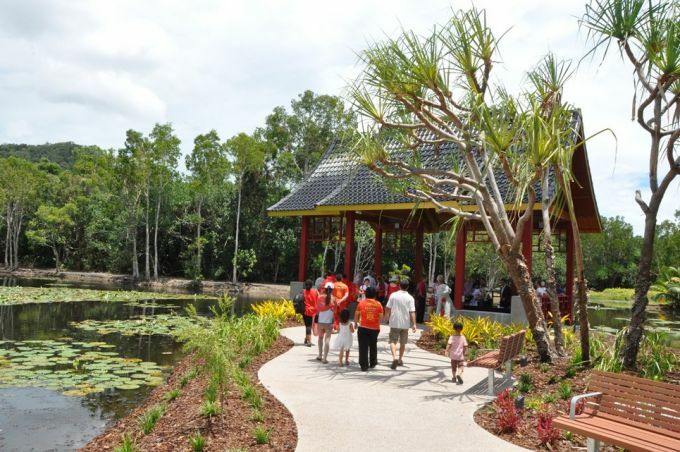 The Chinese-style garden, which celebrates the cultural heritage of the Cairns region, was officially opened on 21 November 2015. 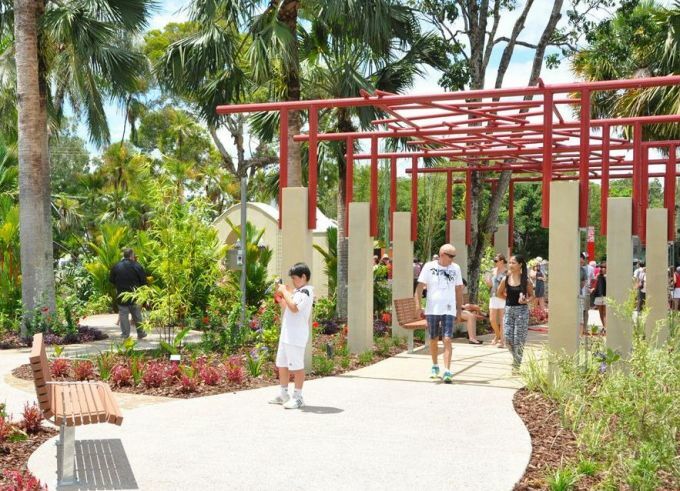 Situated on the banks of Freshwater Lake, within the Centenary Lakes precinct at Edge Hill, the garden incorporates traditional features in a contemporary style. 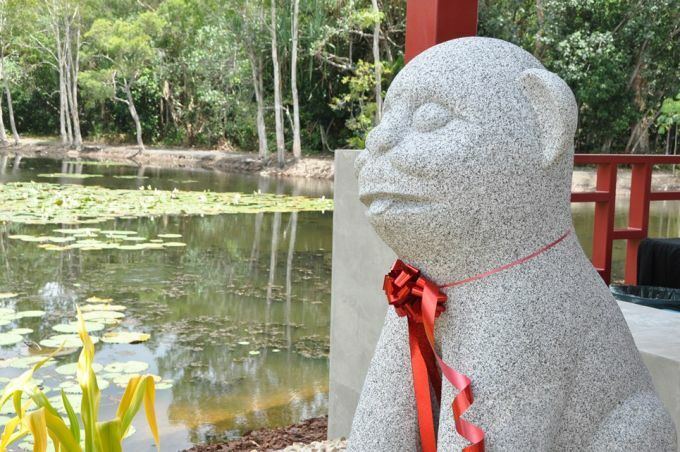 It pays homage to the unique friendship that is maintained between the cities of Zhanjiang and Cairns. The entry pillars announce “arrival” and are adorned with graphic motifs of traditional cloud patters of Zhanjiang. Boulders of Chillagoe marble acknowledge the importance of rocks and mountains in Chinese garden culture. 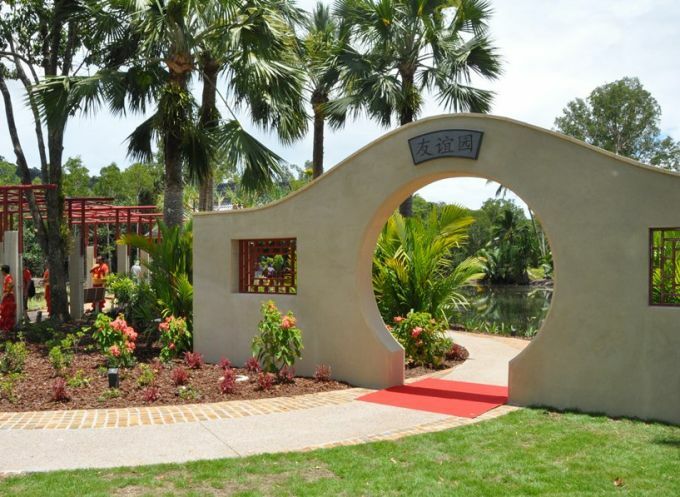 A Moon Gate is inscribed with the words “Friendship Garden” and carved granite dogs at the entrance to the Pavilion are representative of the ancient dog sculptures unique to Zhanjiang. 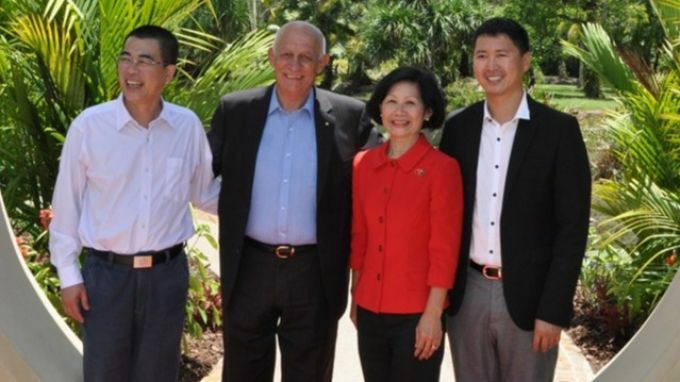 Designers consulted the Sister Cities Advisory Committee, the Consul-General to Mayor Wang Zhongbing, the Zhanjiang Urban Management Bureau, the Cairns and District Chinese Association and the Friends of the Botanic Gardens in preparing the brief. 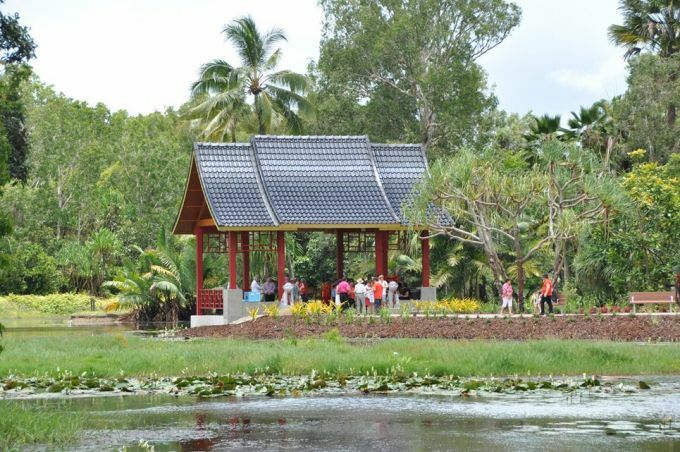 The style of the garden has been influenced by the designers' involvement with the Sino Australian Friendship Garden at Zhanjiang China, Cairns' Sister City – a 37ha contemporary style garden with modern Chinese elements that were in turn influenced by an existing 500 year old light house, a modern harbour bridge and an interest to fuse local Cairns cultural icons into the end result – a symbolic gesture that supported the 'friendship' between the two cities.